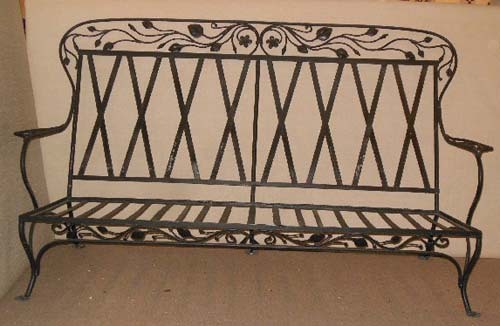 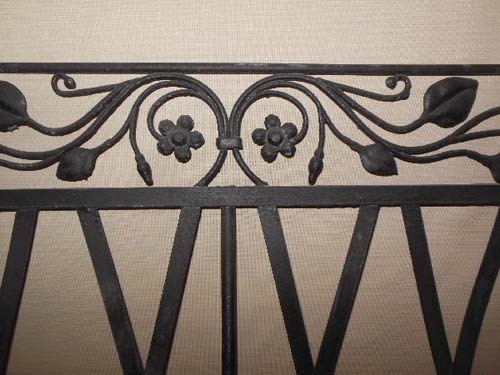 An elaborate Salterini wrought iron patio set in the rose leaf pattern. 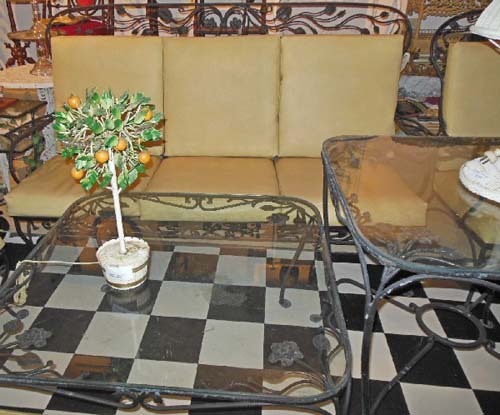 The set consists of a long sofa, a loveseat, two large club chairs, an end table and a coffee table. 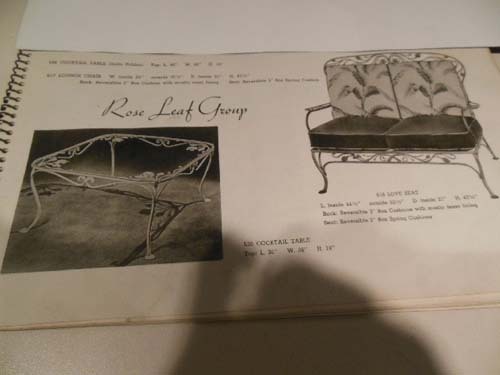 The last image shows a photo from the catalog of 2 pieces of Rose Leaf by Salterini in his catalog. 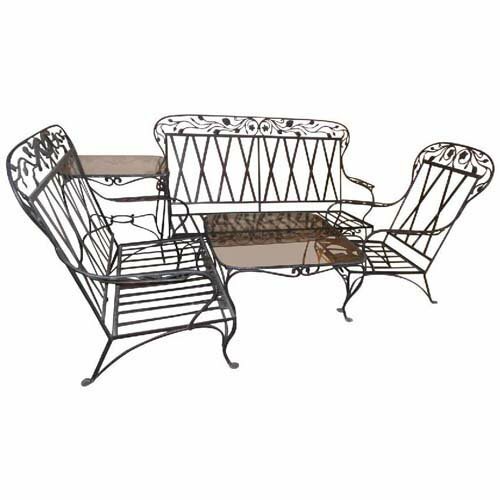 Currently available but being sold separately is a rose leaf double chaise and a rose leaf single chaise and a pair of occasional chairs as shown in the catalog.